[126 Pages Report] The global IP Multimedia Subsystem market was valued at USD 1.41 billion in 2017 and projected to reach USD 3.71 billion by 2023, at a Compound Annual Growth Rate (CAGR) of 15.7% during the forecast period. The base year considered for the study is 2017, and the forecast period is 2018–2023. The report aims at estimating the market size and potential of the IP Multimedia Subsystem market across different segments, such as by component (product and service), telecom operator, and region. The primary objectives of the report are to provide a detailed analysis of the major factors (drivers, restraints, opportunities, industry-specific challenges, and recent developments) influencing the market’s growth, analyze the market opportunities for stakeholders, and offer details of the competitive landscape to the market leaders. 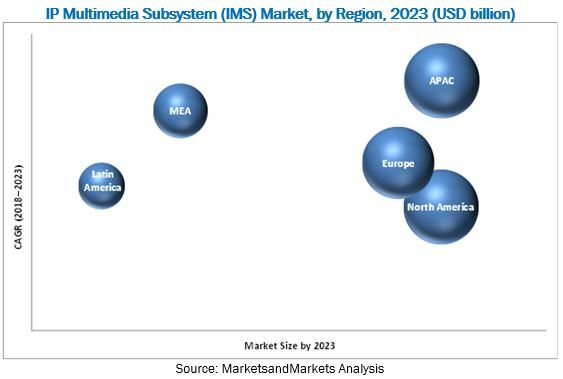 The IP Multimedia Subsystem market players include Ericsson (Sweden), Huawei (China), NEC (Japan), Nokia (Finland), ZTE (China), Athonet (Italy), Cirpack (France), Cisco (US), CommVerge Solutions (China), Dialogic (US), Interop Technologies (US), Italtel (Italy), Metaswitch (UK), Mavenir (US), Oracle (US), Radisys (US), Ribbon Communications (US), Samsung (South Korea), and WIT Software (Portugal). Network management is an important part of any business and plays a crucial role in business operations. Nowadays, managing the network infrastructure has become an important aspect in modern digital businesses. Organizations are unlocking new opportunities in business systems by investing in modern network infrastructure technologies, such as cloud services, data centers, SDN, NFV, IP networks, fixed wireless broadband network, enterprise mobility, and network orchestration, to streamline their business operations. The telecom sector is facing several issues in terms of low Return on Investment (RoI), massive legacy infrastructure, business transformation, stringent government regulations, and increased competition from peers and OTT players. In addition to this, the telcos are making huge investments in advanced technologies and spectrum allocations to cope with the next-generation technologies. Due to the high cost of network implementation, financial crisis, and increased competition, operators are more focused on cash flows and under the heavy burden of minimizing their CAPEX and OPEX. Therefore, telecom operators are looking for cost-effective solutions to improve their network infrastructures and launching new services more quickly. A reduction in the OPEX would help telecom operators address their customers’ needs for new business models, which would create an additional revenue stream. Legacy telecom environments are considered to be a very severe restraint to new commercial telecom software spending. Many telecom operators continue to maintain and operate legacy systems, which are very complex and inefficient for business needs. Due to legacy systems, telecom operators often face various challenges, such as high maintenance costs, unsupported hardware and software, skill shortage, and lack of compatibility on different platforms, including COTS, servers, hypervisors, and cloud. This conversion carries a substantial upgradation cost with it. The new commercial software must be heavily customized to support old services. There is always a risk that the conversion will be incomplete and may cause a network outage affecting company’s business operation and incurring losses. Hence, when deploying systems to support new services, operators are reluctant to convert old services to new systems. Some operators continue to implement legacy systems that are incapable of supporting new services for the growing subscriber base, which could ultimately result in the fallout of services and hamper the customer experience. Big operators have already deployed traditional IMS solutions for LTE networks across the globe. These traditional IMS solutions, however, are very costly and involve a lot of maintenance activities. The installation life cycle of network components ranges from 2 to 5 years. Therefore, mobile operators are reluctant to add new solutions on their networks that are already deployed. With the increasing momentum of LTE deployments, IMS is being looked on as a common platform for deploying communication services over the IP technology (VoLTE, RCS, and video calls). VoLTE is delivered using IMS architecture, which enables operators to add value to the data and the application delivery services. VoWiFi is an adjacent technology to VoLTE; it also works on the IMS architecture to offer voice services over the IP using Wi-Fi network. 5G has emerged as a new next-generation technology in the ICT industry. It has a plethora of use cases in various industry verticals. Manufacturing, automotive, transportation, healthcare, media and entertainment, and government are the major industry verticals, wherein 5G plays a vital role. 5G offers seamless connectivity, lower latency, huge computing capabilities, and agility in the cloud. It would completely change the communication scenario experienced by people. Telecom operators have already started the 5G trial at various locations and are expected to launch 5G commercially by 2018–2019. Japan, South Korea, China, and the US are acting as frontrunners in the implementation of the 5G technology. Security is an important concern for any business. With the evolution of advanced technologies, such as SDN and NFV, vulnerabilities and network threats on network components have also increased. Security attacks are the major concerns for mobile operators that adversely impact their business functions. Security hackers are improving their attack methods to increase vulnerabilities in the network environment and are working toward the betterment of network functions. In the traditional IMS, all network functions run on hardware modules that offer a very high level of security for various network components. It is relatively hard for an attacker to gain control over the mobile infrastructure and damage the network environment. However, in the recent years, operators have adopted virtualized solutions in the mobile core network to lower down their OPEX and improve their network efficiency. IMS solutions offer several benefits compared to the traditional IMS but lack security and performance. There is a lack of skilled and experienced network engineers for managing and using next-generation networking and virtualized solutions across the globe. Any error in the integration and implementation would negatively impact the mobile network infrastructure, thereby impacting customer experience and business revenues. Athonet launched the S-GW local breakout function, which enables low latency videos, caching, and content management at the network edge, using standard 3GPP-compliant interfaces and open APIs. The feature also enables local breakout for other edge computing services that require low latency, security, and optimization of data flows. ZTE launched a commercial trail of VoLTE high-definition voice services for China Unicom in Henan Province. ZTE offered China Unicom with end-to-end VoLTE solutions, comprising VoLTE HD video and audio, VoWiFi, and RCS. Inland Cellular, a US-based locally operating rural cellular communications company, partnered with Interop Technologies to implement private Cloud IMS Core Network with VoLTE and RCS. Athonet partnered with Ambra to implement Canada’s first LTE underground network in a gold mining company, Agnico Eagle, using Mobile Core and IMS. Reliance Industries entered into an agreement to acquire Radisys for USD 75 million equity value. The transaction is expected to complete in the next 3–6 months. Cisco acquired BroadSoft for USD 1.9 billion. This acquisition helps in adding BroadSoft’s open interface and standards-based solutions to the existing portfolio of Cisco. 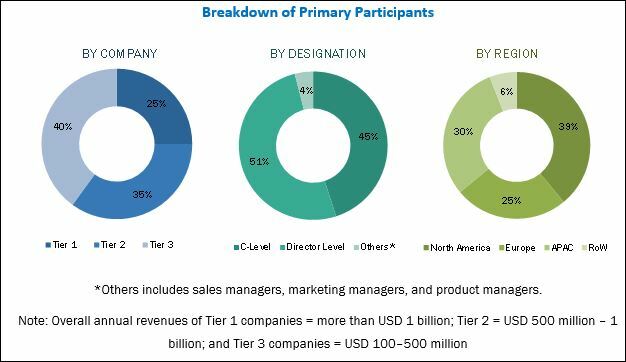 MarketsandMarkets expects the IP Multimedia Subsystem (IMS) market size to grow from USD 1.79 billion in 2018 to USD 3.71 billion by 2023, at a Compound Annual Growth Rate (CAGR) of 15.7% during the forecast period. Low Capital Expenditure (CAPEX) and Operational Expenditure (OPEX), increasing number of Long-Term Evolution (LTE) mobile subscribers across the globe, and the growth of the network infrastructure are expected to drive the market growth. The objective of the report is to define, describe, and forecast the IP Multimedia Subsystem market size by component (product and service), telecom operator, and region. Among components, the product segment is expected to account for the larger market share during the forecast period. This growth is because of large-scale implementation of IMS solution by telecom operators to deliver various use cases, such as Voice over LTE (VoLTE), Voice over Wireless Fidelity (VoWiFi), Rich Communication Services (RCS), and Unified Communications-as-a-Service (UCaaS). Among telecom operators, the mobile operators segment is expected to hold the largest market share during the forecast period. Mobile operators have been facing several challenges, such as updating the legacy systems to meet the current demands for end-customers, intense competition, high CAPEX and OPEX, and low Return on Investment (RoI). Hence, they are in the process of seeking scalable and cost-effective solutions. All these factors are expected to be the key reason for the rapid adoption of IMS solutions and services by telecom operators. North America is expected to account for the largest size in the IP Multimedia Subsystem market during the forecast period, followed by Europe. North America is the house of big telecom giants. Mobile operators are rolling out new use cases, such as RCS, private LTE, and wireless broadband using their networks. The US government has planned to roll out the Citizens Broadband Radio Service (CBRS) band for private operators and enterprises, in 2018, which would act as a catalyst for the growth of the IMS market. Hence, North America is expected to account for the largest market share in the global IMS market during the forecast period. The APAC region is expected to register strong growth in the coming years, as the majority of the mobile and fixed operators in the APAC region are still using traditional IMS solutions. However, this trend is expected to change while operators would eventually shift toward virtualized and cloud-based solutions. Moreover, APAC has been the largest contributor to the mobile subscriber base across the globe and is expected to add more subscribers to its network in the coming years. Security concerns in virtualization and the unwillingness of telecom operators to transit from the legacy infrastructures to a virtual environment may hamper the growth of the market, but for a specific period. Major and emerging vendors in the IP Multimedia Subsystem market includes Ericsson (Sweden), Huawei (China), NEC (Japan), Nokia (Finland), ZTE (China), Athonet (Italy), Cirpack (France), Cisco (US), CommVerge Solutions (China), Dialogic (US), Interop Technologies (US), Italtel (Italy), Metaswitch (UK), Mavenir (US), Oracle (US), Radisys (US), Ribbon Communications (US), Samsung (South Korea), and WIT Software (Portugal).